Much like your cologne, a deodorant is something every man simply must have in his bathroom. However, if you thought its only purpose is killing body odor, you were wrong. 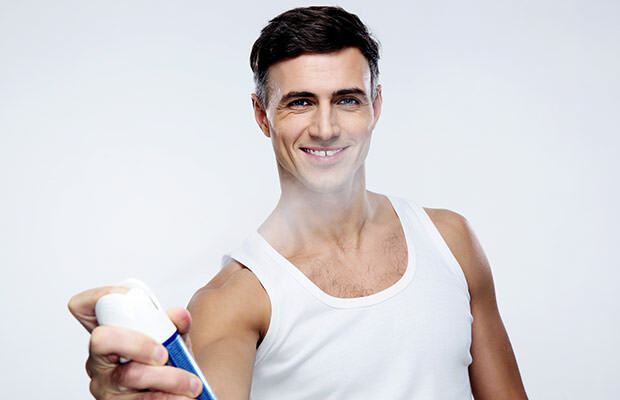 Unbeknownst to many, body sprays and deodorants have more uses than just preventing and blocking the smell caused by sweating. For example, the natural ingredients used in deodorant formulas are actually helpful when it comes to destroying zits. We know spraying your face with a body odor blocker sounds insane, but the aluminum and mineral salts in it are known as one of the best acne-causing bacteria killers. Furthermore, a deodorant is also capable of preventing your hairline from sweating by keeping your face free of moisture. On the opposite side of your body, you can use body spray to prevent foot blisters caused by new shoes. Finally, an odor blocker can also be used around the house. From DIY candles to fixing squeaky doors, you’ll now have a 10-in-1 can of problem solving.